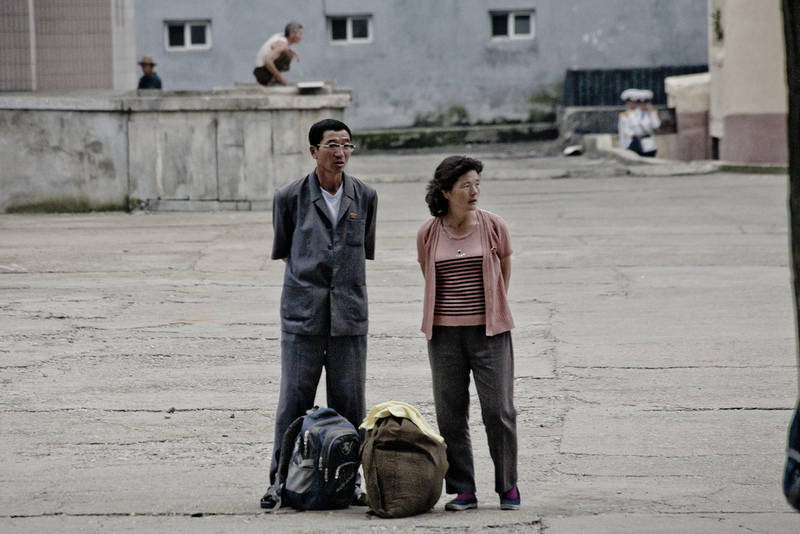 North Korea is often associated with electricity shortages. A famous satellite picture comparing the two Koreas shows how brightly the lights to the South shine at night – and how dimly they do in Pyongyang. The rest of the DPRK drowns in darkness, a fitting visual metaphor, to many, for the isolation of the country and the dysfunction of its state. NK News has learned from numerous in-country sources that the situation recently took a turn for the worse. Even in the country’s capital, one source said a harsh winter and a crippled infrastructure led to an “unusually bad” situation – and while the predicament is improving as demand drops and the weather improves, a rocky road to recovery will be required if this is not be repeated next year. Pyongyang is supposed to be the state’s showcase city: It’s the part of the country most often visited by foreigners, and as a home for the country’s “core class” of loyal elites it’s certainly the place with the highest standards of living in North Korea. Power shortages, then, should be a thing of the past – particularly if one takes into account the regime’s recent investment in imported power and new power stations. But the promise of Pyongyang, it appears, doesn’t extend to a stable electricity supply through the winter. While none were able to go on-the-record due to ongoing work in-country – and the sensitivity of discussing these issues with the press, phone conversations and email exchanges with foreigners living and working in the North Korean capital reveal that the winter of 2014-2015 saw some of the worst power cuts in Pyongyang in years – some so bad that they could be jeopardizing vital day-to-day aid and the work of diplomats. 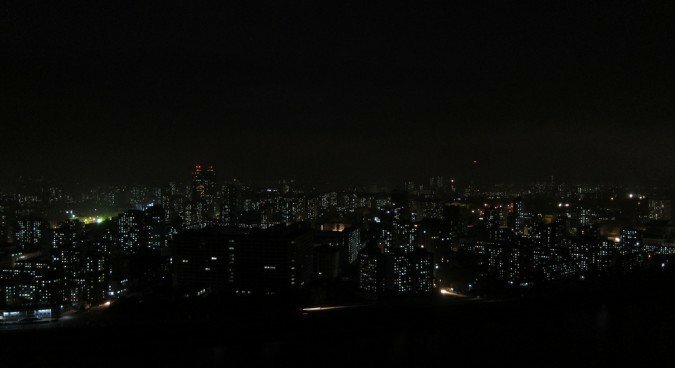 While North Korea’s capital is no stranger to these types of problems, another diplomatic source insisted that the situation had been “unusually bad” over the winter months, in terms of the frequency and length of the power cuts, but also in the quality of the power. They described “very low voltage, beyond the tolerance of most voltage regulators, causing them and other household equipment to fail and to burn out” and told NK News that there was even talk from North Koreans of power shortages at home. Another source described receiving an email from a colleague still in the country, which they read for NK News during a phone conversation in April, which described the grim situation in the capital for the past few months. It is not as though everyone is affected, this source argued, saying that while most of the country is provided with power on a first-come, first-served basis – and this includes hospitals – there is one sector of the population which is never left in the dark. Venturing into the countryside, the situation was considerably worse than in the capital, according to numerous sources – a problem the authorities were open about in meetings with foreign diplomats and aid workers. “In one open meeting of embassies and different agencies roughly two months ago, it was reported that a certain mid-tier city hadn’t had electricity at all – since December,” they added. “Some provincial towns were reportedly without power for more than one month over the winter,” corroborated another diplomatic source. 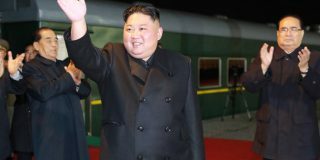 There are many possible factors involved in this problem, of course, and a lot of speculation, but many sources point to the country’s reliance on hydroelectric power – and the drought which blighted North Korea last year – as being to blame for the winter’s particularly bad situation. As demand rose rapidly during from December, depleted water reservoirs and an under prepared infrastructure led to rolling blackouts. Coal power has long been a source of energy in the DPRK. It’s cheap and easy to produce, but it is a major pollutant in a country long plagued with environmental problems. And without a domestic oil and gas industry, hydroelectricity is the logical alternative. But it needs rain to fill rivers and power dams, and the summer of 2014, traditionally a time for heavy rainfall in the country, saw some of the lowest precipitation in decades. One source identified the problem as also lying with a strategic failure of the country’s centrally planned economy to properly organized the supply of power across the country, overestimating the electricity being produced and underestimating demand. “More and more places are coming online,” said one source, when asked why they believed the power situation so bad, Pyongyang, it seems, is struggling to keep up with rapidly growing demand. A report by state media in January announced a New Year’s drive, saying that “Officials and workers in the power industrial field of the DPRK … are now concentrating efforts on the technical improvement for increasing electricity output” and that power stations were undergoing upgrades to meet maximize production of power. One source was optimistic, saying “I wouldn’t say it’s been getting worse overall,” and that apart from difficulties with infrastructure during winter, they had not noticed a general decline in the provision of electricity in-country. The state is also looking abroad for help. 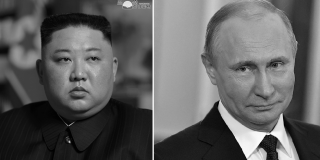 As relations between the two countries get closer, North Korea could be collaborating with Russian energy company RAO Energy System of East to deliver power to the Rason Economic Zone, and North Korean electricity imports from China rose sharply through the first 11 months of 2014 when compared to their 2013 equivalents, as did Chinese exports of diesel, gasoline and aviation kerosene. When working in-country for the Swiss technology company the ABB Group, Abt said he and his colleagues noticed that “a significant part of the electricity generated in power plants is lost in the transformation and distribution system that needs substantial repair and upgrading,” he said. The authorities were anxious to fix the problem, he said, and as ABB’s company director Abt signed a memorandum of understanding with the Ministry of Energy Production and Coal Industries committing the government to improve and upgrade the grid. The project was pulled, however, when ABB left the country amid rising inter-Korea tensions in 2009. North Koreans seem to be taking matters into their own hands, in some instances, with Reuters reporting in April that makeshift solar panels are increasingly popular in Pyongyang, and are used to charge mobile phones and the increasingly popular Notel media playing device. 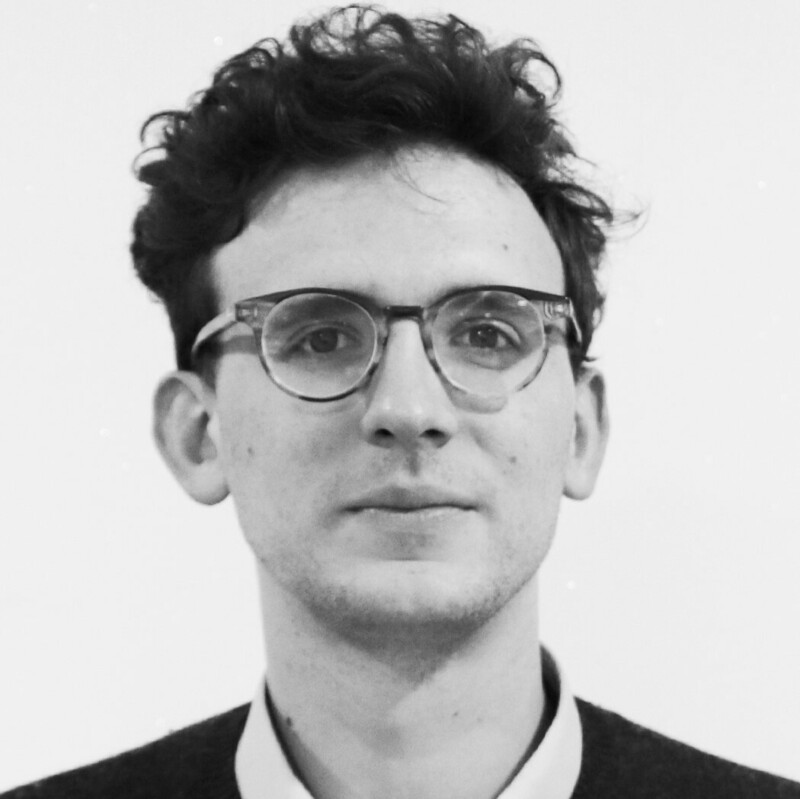 North Korea has not, traditionally, suffered any more than anyone else from power shortages, said Andrei Lankov of Kookmin University, who lived in Pyongyang in the 1980s. “Historically, it was not (an issue),” he said. “It is not incidental that a hydropower station is depicted on the DPRK coat of arms. 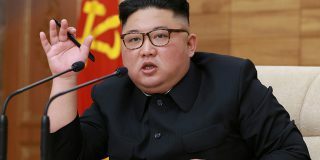 The line of the state in response to its power problems has always been to blame North Koreans for not working hard enough, Lankov said, combined with attempts to build small power stations on small streams, plus some highly publicized projects. “(They) talk a lot, saying that everybody should work harder to revive the electricity production,” he said. Most of the time these issues were not raised with the authorities, said one diplomatic source, arguing that they would be loath to admit fault, especially to foreign diplomats. 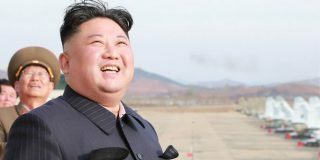 In February, at the height of North Korea’s power problems, the Central Committee and the Central Military Commission of the Workers’ Party of Korea announced, to much fanfare, some new “joint slogans” to inspire the people on the anniversary of the end of the Japanese occupation and the founding of the party. If the power problem persists, when winter comes around again, they’re going to need all the help they can get. Subscribe to read the remaining 2363 words of this article.